"You will not find better allergy and asthma specialists in the LA area." "We are lucky to have such high quality practice in our city. I highly recommend them." "I left the office each time with a smile, knowing I was in very competent hands." "Fabulous: cheerful, smart and full of optimism." "Everyone is very nice and the process was quick. I will definitely be here long term!" "Dr. Do put me on a new regiment to get my Asthma under control and I feel great results." The Allergy Asthma Care Center, Inc. in Los Angeles, CA is dedicated to the evaluation of allergic and immunologic disorders. Our doctors are board-certified in allergy, asthma and immunology for adults and pediatrics. Our staff includes: Roger M. Katz, M.D. ; LanAnh Do, M.D. ; Lee Sheinkopf, M.D. ; Saraleen Benouni, M.D. ; Varaz Bozoghlanian, M.D. and Glenn Lawlor, M.D. 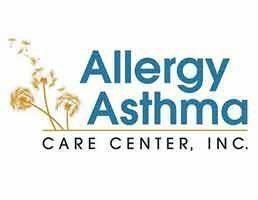 All of our doctors are firmly dedicated to the Allergy Asthma Care Center, Inc. philosophy. This means that each and every patient will be thoroughly evaluated and properly diagnosed using the most effective testing methods available today. Our doctors are highly trained in evaluating allergic disorders of all types, and we are here to help you better understand any allergic issues you may be experiencing. Even patients who feel hopeless and frustrated about their allergic disorders can find relief here. We look forward to matching you with the perfect doctor for your particular concerns, so please feel free to contact us any time for a consultation. Cluster / Rush Immunotherapy - Allergy Shots (Rapid Desensitization). Exhaled Nitrous Oxide (eNO) measurements for asthma control. IVIG Treatment (Intravenous Immune Globulin) and other IV therapies. Medicare and most PPO Insurances are accepted. This office is not contracted with Medi-Cal, any HMO, HealthNet, or Covered California Blue Shield (Mirrored Included). This office is contracted with numerous plans but it is YOUR responsibility to contact your insurance carrier if you would like to be sure that we are in your network of covered physicians.